The Concept 2 Model D is a state-of-the-art indoor rowing machine that provides a smooth and consistent total body workout that can tone your body and get those muscles pulsating with adrenaline. 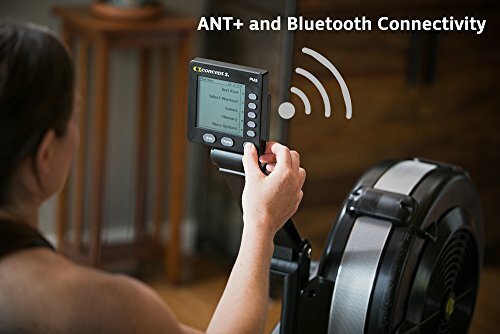 It consists of a flywheel design that gives a noiseless operation and its ergonomic design adds extra comfort to the workout and ensures that the arm and hand position are natural when the rowing is being done. The Concept Model D Indoor Rowing Machine is built to be a long term machine that can sustain heavy use. It is a pretty good investment to make and many veteran exercisers and even Olympic athletes have used it to tone their body muscles and get physically fitter. The features and convenience this machine provides makes it one of the top rowing machines available in the market as of now. In this review, we will talk about its features extensively. 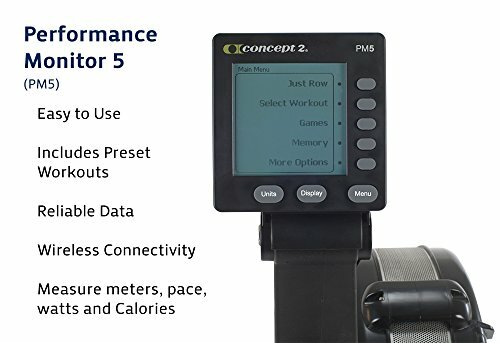 The Concept 2 Model D Rowing Machine measures at dimensions of 96 inches in length, 24 inches of width, and the seat being 14 inches in height. The rowing machine itself has a quick release frame-lock mechanism that allows for the machine to easily be disassembled into two separate parts which can then be put in storage easily. This makes sure the machine won’t occupy too much space in your house and can easily be assembled again according to your needs. Caster wheels found at the base of the machine make it easier for you to transport the Model D from one room to the next without tiring yourself out. The machine comes packaged originally in a double-layered box. The assembly itself is really simple and does not take much longer than 30 minutes. Along with the machine, you will also find an instructions manual and other necessary tools. The Model D features a high-line, state of the art PM5 monitor which is one of the most technically accomplished monitors you will find for any machine in the market. The PM 5 is extremely simple to use and it tracks accurate readings that include a pulse meter, strokes per minute (SPM), heart rate, amount of calories burned, and total distance covered. The backlit LCD light makes the readings visible, and USB compatibility makes it possible for you to store your workout data and reclaim it for later use. The monitor can also be positioned and adjusted wherever you need through the adjustable monitor arm on the Model D.
The Spiral damper on the Model D is responsible for adjusting the airflow in the flywheel. This means that by adjusting the damper, you can create different resistances for yourself in order to increase the workout intensity. You get to dictate the intensity as well as resistance for yourself as the Model D allows you to have complete control over your strokes. The Concept 2 Model D Indoor Rowing Machine is well known for being durable and having a solid steel construction. The frame of the machine is so sturdy that it can take rigorous, heavy, abusive exercises and still continue to function just as well. It is why most gyms, dojos, military bases etc around the world have actually used the Model D for exercise and training. The machine itself weighs 57 pounds and can sustain a maximum weight of 500 pounds which can allow many people of different weight types to use this machine for their personal fitness needs. Ergonomic handrails and adjustable footstraps also add an extra layer of comfort to the overall exercise and ensure that no needless strain is being put on your muscles. Only the target muscles will be the one that will be focused on. The Concept 2 Model D comes with a nice warranty that covers 5 years for the frame and 2 years for the parts. checkThe PM 5 monitor is a wonderfully sophisticated monitor for tracking readings. times-rectangleA tad bit expensive, but it provides amazing features for its price tag. It is a long term investment that won’t go to waste. What can we say? 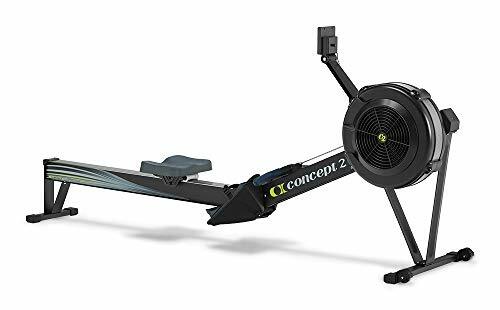 The Concept 2 Model D Indoor Rowing Machine really is one of the most modern and best pieces of exercise equipment that currently exists in the market. The Model D is designed in a way that enhances comfort, removes unnecessary strain on your muscles, and encourages natural movement that equally involves all your muscles and trains them rigorously. 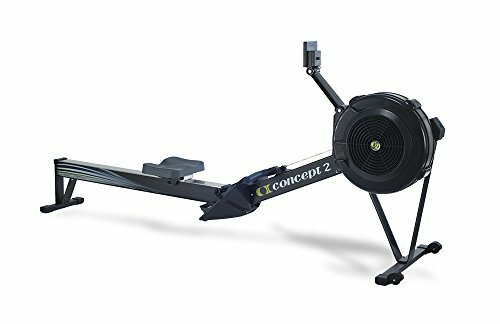 If you were searching for one of the most reliable rowers out there that doesn’t burn a hole through your pocket, is impeccably simple to use, and portable enough that you can carry it off after use, you don’t need to look any further than the Model D. This machine has it all and we recommend it earnestly. Comfortable. Modern. Impeccable. This machine has just what you need.